Now it may be not a perfect time to wear a thick coat but wearing a shirt is a little bit cold. You’ll need a thin mens windproof coat to get through this fall. 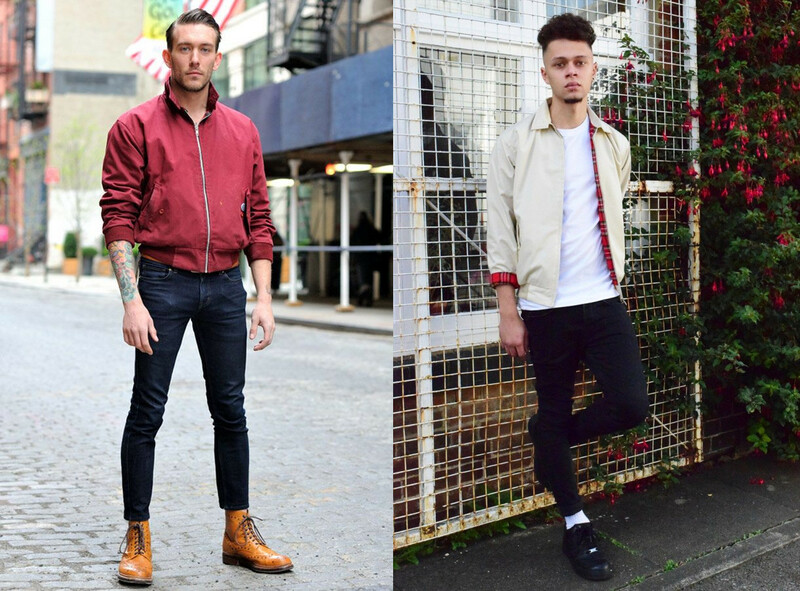 In this windy season, what could be better than a Harrington? The reason why Harrington has never out-of-date style and longevity is not only because of its fashionable cut and symbolic plaid lining, but also its amazing durability and versatility. It is leisure and comfortable to wear and goes well with sweaters, shirt, jeans, etc. Different colors and fits create diverse styles. There are a lot more colors available now. Classic colors include beige, brown or navy. Bold bright colors are more in line with modern tastes. My personal favorite is navy blue that is all-match. Of course sometimes I wear bright colored coats of neuter color pants. It is simple but stylish and chic. Its elegant silhouette and smooth and neat cut makes it a little bit more modern. 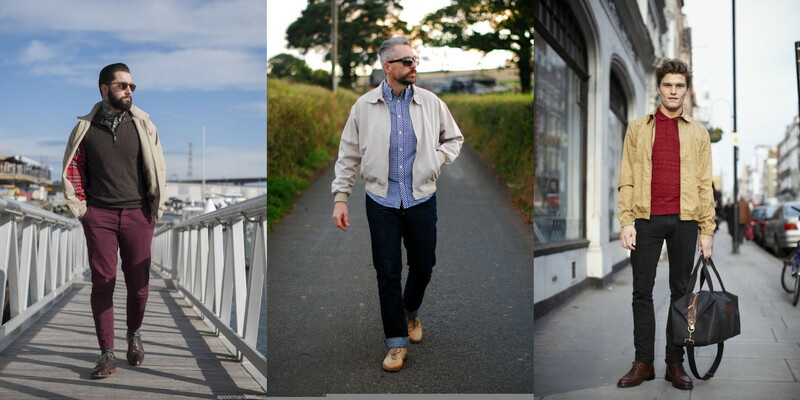 Therefore, they’ve become one of the must-have mens fashion coats of a lot of fashion designers and fashion bloggers. 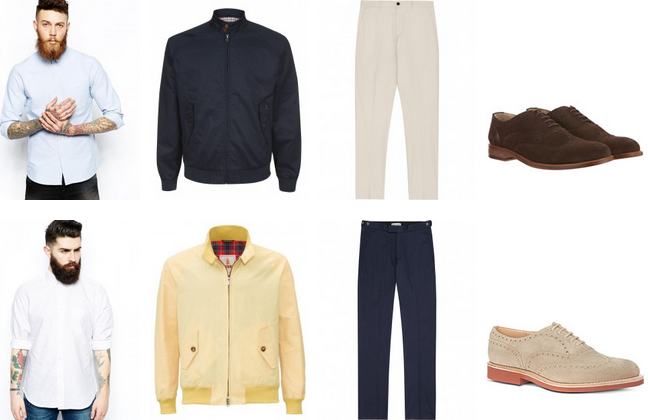 If you haven’t decided what to add to your fall wardrobe, Harrington is a good choice. 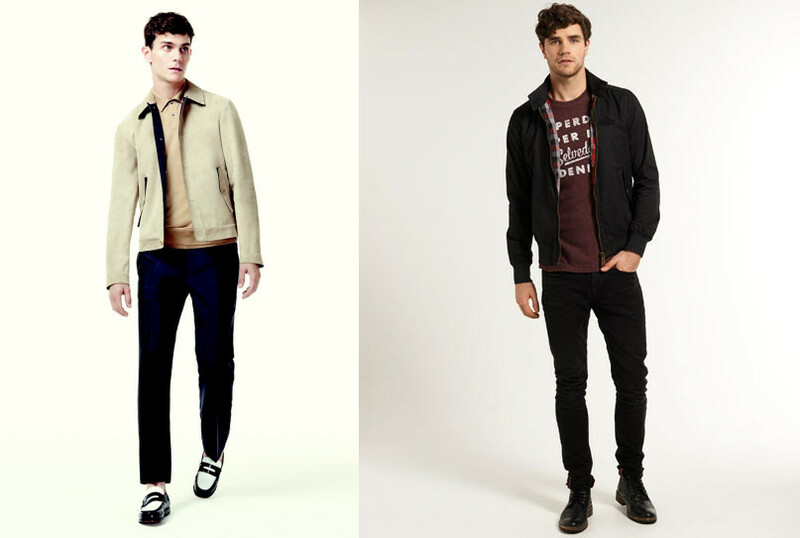 If the casual look is not suitable for you, you may try to pair your Harrington with fitted pants. 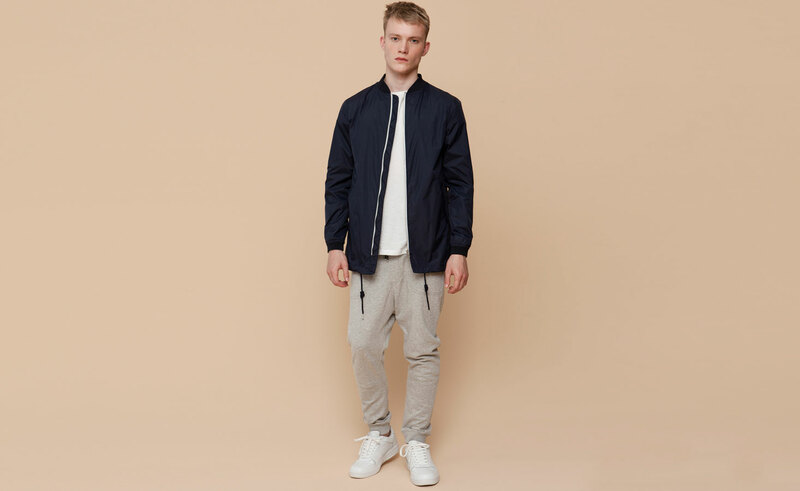 If you prefer a dark colored one, choose light colored pants like khaki or light brown. Likewise, brighter colored Harington goes well with navy blue pants. There are more designers prefer brighter colored ones with which you can create various styles. Of course the classic colors like khaki and tan still have their charm. 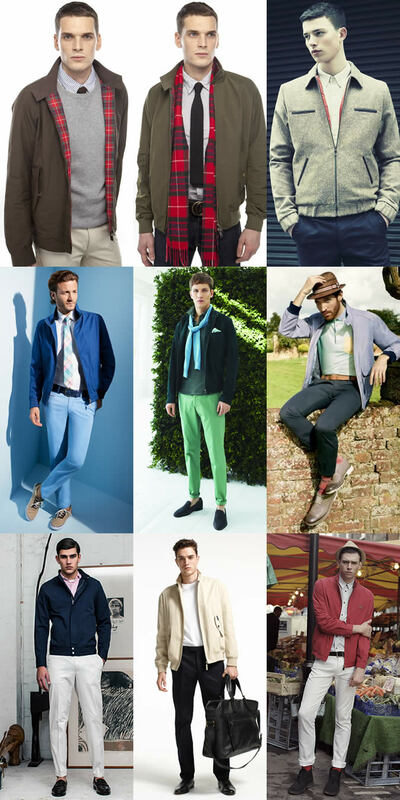 Keep in mind that if you choose bright colored Harrington, the rest of your outfit need to be low-profile because you only want one focal point of your outfit.